Eight years ago, I met Rachel Lessne at her newly-opened shop, Green Envy. She was fresh out of University of Rhode Island and eager to share her passion for eco-friendly, sustainable and fair trade products—clothing, shoes, accessories, jewelry, décor and housewares. The eco-boutique was nestled into the shops at Brick Market Place, where it stayed until it outgrew the space, moving to Franklin Street. Over the years, Rachel has won seemingly every regional small business award (14 to date, but who’s counting) including being recognized by the State of Rhode Island. Now, it’s time to start a new chapter. Rachel has featured in the shop over the years, Green Envy will move full time to GreenEnvyShop.com. She’ll be collecting international stamps in her passport along the way. The shop will also travel throughout Rhode Island and New England to exhibit at fairs and festivals. Rachel will also continue to share her message and knowledge of “green” business and entrepreneurship as a public speaker at universities. 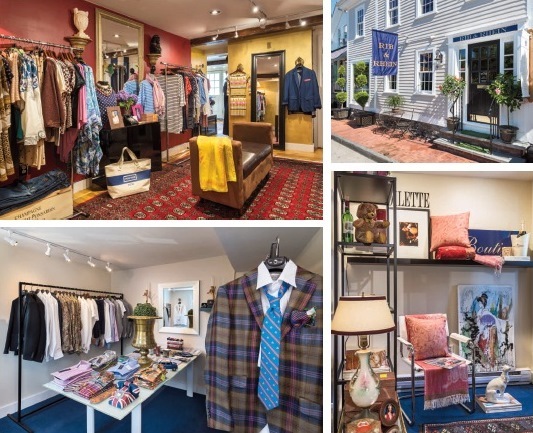 As local fashion fans know, Rib & Rhein opened in Newport in 2008, but this past summer, owners Erin and Thomas Ribeiro ceremoniously cut the ribbon to their new second floor for a combined 4000 sq. ft. of luxury retail space. 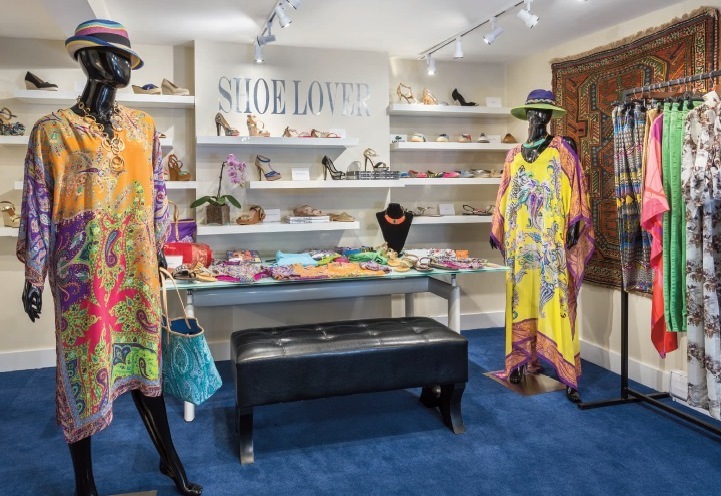 Among other gems, the additions include the “Shoe Lovers Salon,” with each pair chosen specifically for the discerning Newport shopper. Years ago, I wrote a story on Newport for Daily Candy describing the shop as a place where “Tribeca and St. Barths collide,” and it still rings true. Featured designers for men and women at Rib & Rhein include Marc Jacobs, Psycho Bunny, Etro, ISSA, Roberto Cavalli, Victoria Beckham, Turnbull & Asser, and more. The couple say they plan to add even more coveted lines including Prada, Isabel Marant, Marni, Givenchy, Tom Ford Beauty, YSL beauty, Gucci, Versace, Christopher Kane, The Row, St. Laurent, Alexander McQueen, Victor & Rolf, D Squared, Christian Louboutin, and Hermes. 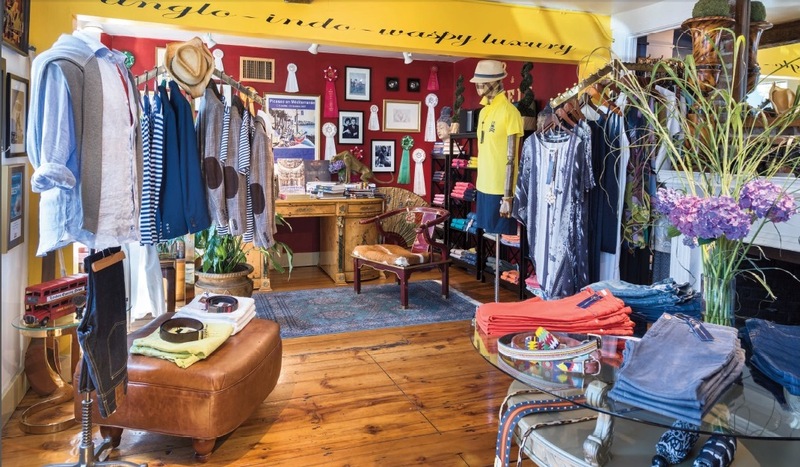 The boutique is located at 86 William Street in Newport. Monelle, directly across from the Clarke Cooke House, is the sister shop to Chace N’ Lulu, right around the corner. What they have in common: totally covet-able (and pricey) pieces, many with a nautical flair from likes including Lilly Pulitzer, Susana Monaco, Elizabeth McKay, Kate Spade, J Band, Cortland Park, Sail to Sable, etc. 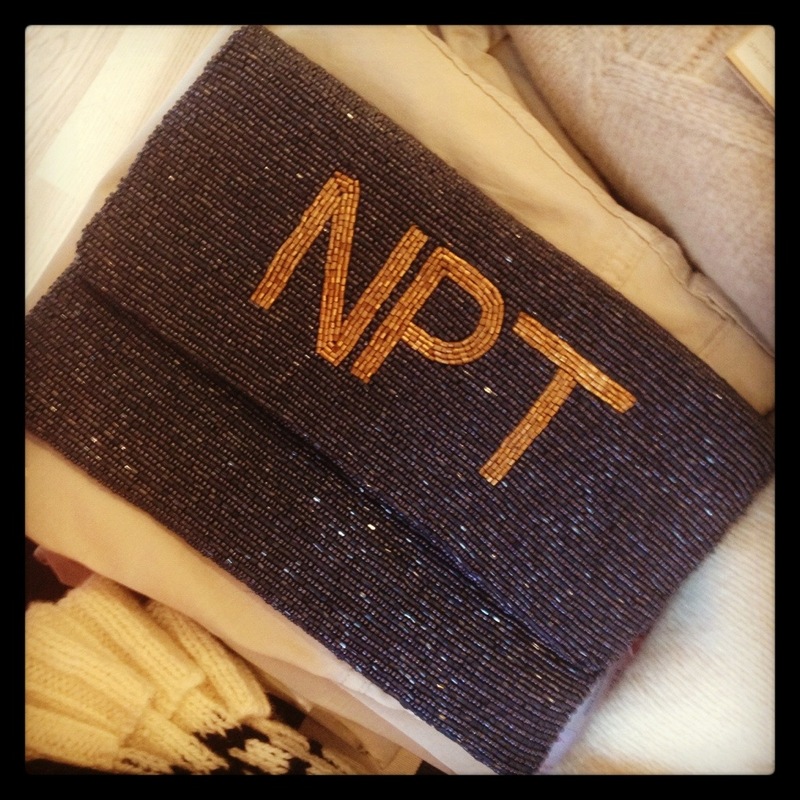 If you want your personal monogram beaded clutch, Moyna can custom make those as well. They typically range from $50 to $190 depending on the size. CLICK HERE to visit Moyna’s custom order site. If you’ve ever read the ingredients in your shampoos and conditioners, you may have found yourself turning to Google to find out what the heck that nine-syllable component is (and you can always check the Skin Deep Cosmetics Database). I’ve featured other organic or authentically natural hair care lines found locally here before, and I have a new discovery (it’s good to change up your brands from time to time). 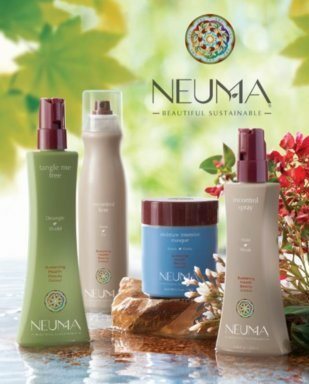 Meet Neuma, founded on the principals of beauty, health and sustainability. I was first introduced to Neuma at JF3 Salon, whose owner, Joseph, seeks out emerging organic lines. With full ingredient disclosure (not hiding behind words like “fragrance”) and by partnering with suppliers who use renewable energy and support fair trade, Neuma is setting the bar high. I tried Neuma’s reNeu shampoo with neuMoisture conditioner—both are sulfate-free, color-extending formulas with UV Guard™ and don’t strip hair of its natural moisture and essential oils. You can mix and match from their Moisture, Volume, Styling, Renew and Repair specialties, and it’s totally vegan, so snaps for no animals being used in making this line. Plus, the infused essential oils makes it smell heavenly. Like other better brands found at salons, Neuma costs significantly more than your drugstore brands, but you pay more for quality. Also, while it might cost more upfront, you really need just a dime size of the shampoo and conditioner for a good wash, so a little goes a long way. The 43rd Annual Newport International Boat Show returns this week (Sept. 12-15) and while we love checking out some of the stunning luxury behemoths, wooden wonders and sleek sailboats, it’s a lot fun (…and more affordable) checking out the vendors and related events. I’m looking forward to a collaborative event on Sept. 14 at Newport Shipyard: Boats & Brands, featuring Sail to Sable, Cortland Park Cashmere, Wind & Waves and Harding Lane, which I featured on Newport Stylephile here. Shopping, sailing, styling–it’s all coming Saturday evening! newportFILM’s last outdoor film screening of the summer, ‘Diner En Blanc,’ about the world-renowned secret pop-up white dinner parties that started in Paris 25 years ago, unfolds Thursday, Sept. 5 with two exciting options to experience. In theme of the film, all-white attire is highly suggested, but not required. Also, director Jennifer Ash Rudick will be in attendance at the cocktail party and for a post-film Q&A. BYO picnic or food available for purchase from Tallulah’s Taco Cart and Le Petit Gourmet.